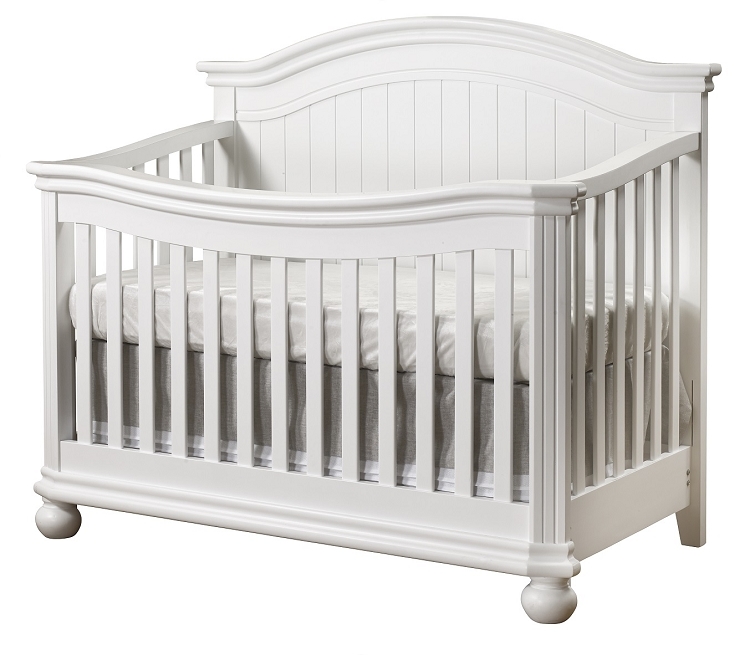 Beautifully crafted with an arched headboard and a subtly curved footboard, the Sorelle Finley 4-in-1 Convertible Crib in White is a great piece to add to your child’s nursery for that traditional touch. Rounded off, bun-styled feet keep the crib nice and sturdy so your baby has a safe place to rest at night. Designed to grow along with your child, this crib can easily transform into a toddler bed, day bed and full size adult bed with the conversion kit (sold separately). Product Dimensions: 59 x 31 x 51. 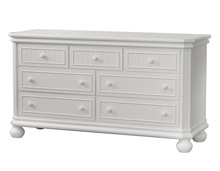 Finley 6 Drawer Dresser in White to match. 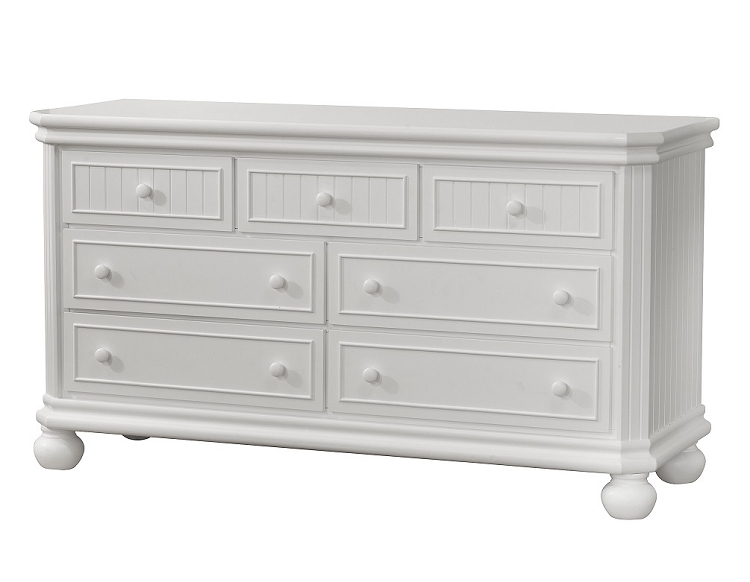 This dresser features six large, spacious drawers perfect for the storage of your little one’s clothes, changing items and other necessities. The vertical storage space allows you to keep clutter at bay and maximizes the organization of your child’s nursery environment. 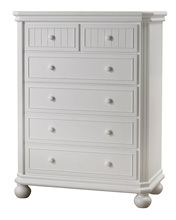 The top of this dresser has plenty of room to place objects such as a lamp, pictures and other decorative items. 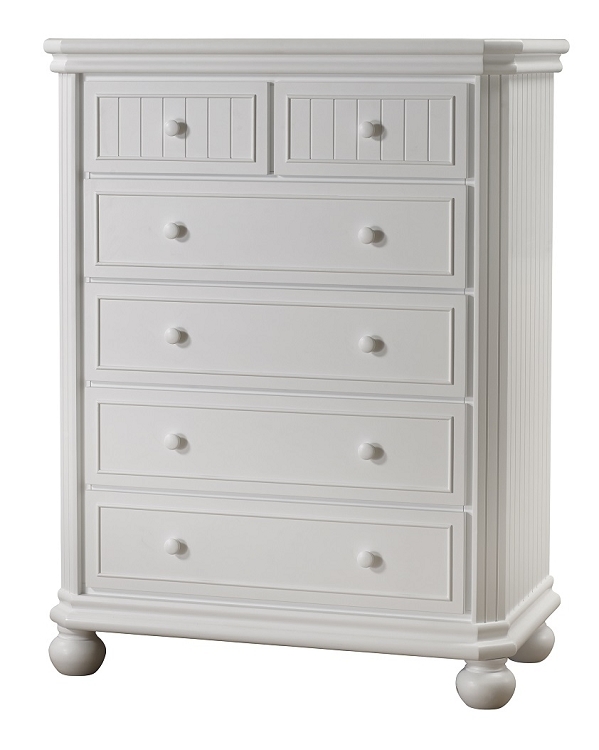 Pair the Sorelle Finley 6 Drawer Dresser with the Sorelle Finley 4-in-1 Convertible Crib for a harmonious and well-organized room for baby. 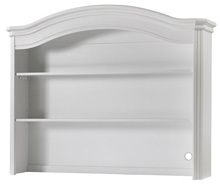 Product Dimensions: 39 1/2" X 19" X 51 3/4". 7 Drawer Dresser by Sorelle you can achieve the same amount of storage without taking up too much vertical space in your baby's nursery. This dresser comes with seven drawers in total with three small drawers on the top and four larger drawers on the bottom and two on each side. 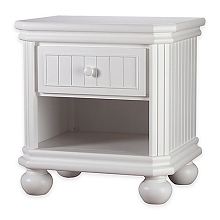 Designed with round feet and smooth, straight sides, this dresser has a wide top that works great as an area for diaper changes with the addition of a changing pad. The top can also be used for extra storage space with added baskets or as a place for room decorations and photographs. Product Dimensions: 56" X 19" X 33".